are framed in the yellow triangles. Not as complicated as you thought. I will be teaching this class at Sew Classic Fabrics May 15, 22, 29 and June 5. 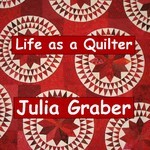 My sewing project this week is to quilt, quilt, quilt. 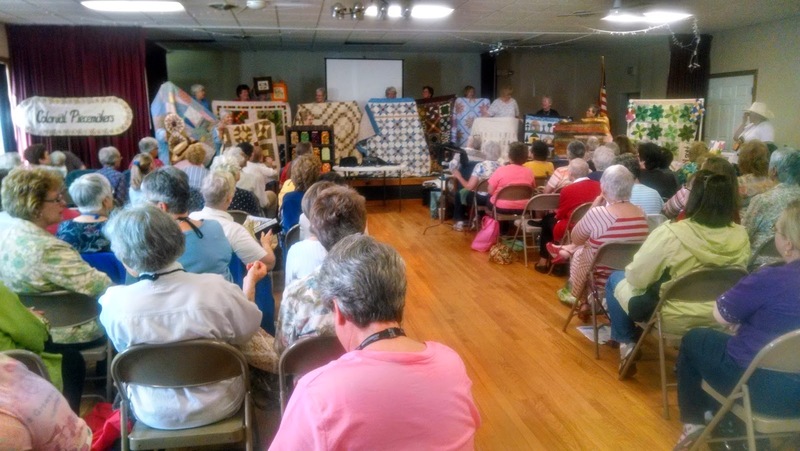 This weekend I had the privilege to teach and speak for the Colonial Piecemakers Quilt Guild in Norge, VA. 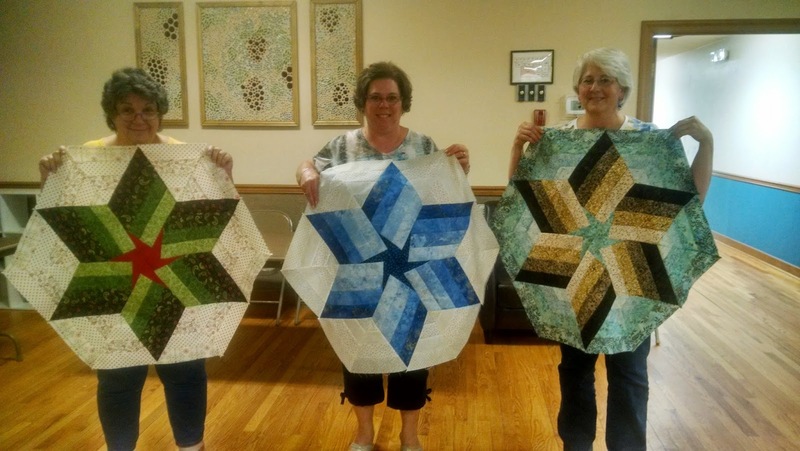 Here is a picture of the charity quilts they made this month. In class, Catherine chose to make the Shenandoah Star out of paper instead of fabric. It turned out really neat. Here are a few of the ladies that were in the class. 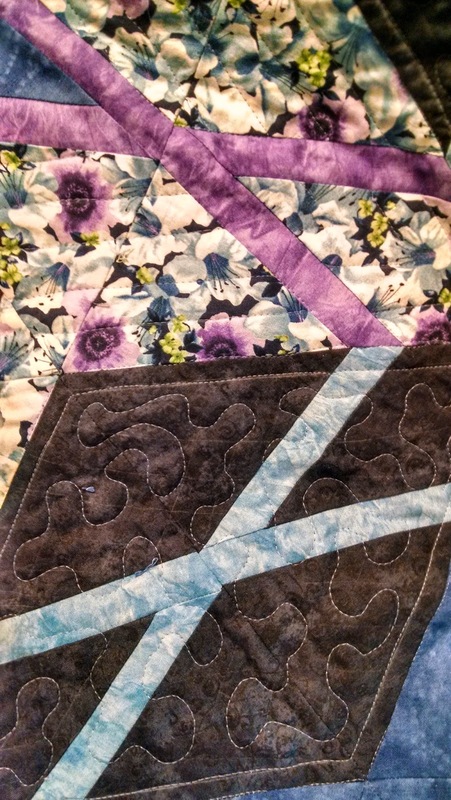 I just love seeing the different color-ways people pick for quilts. 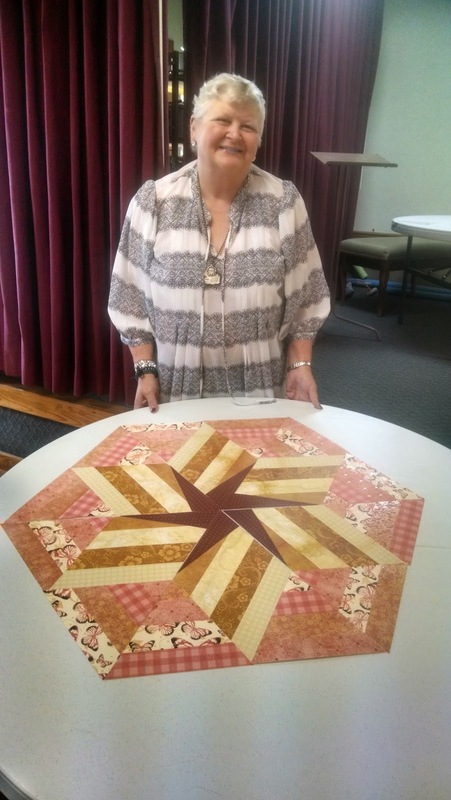 The winner of the Quiltmaker 100 Block Vol. 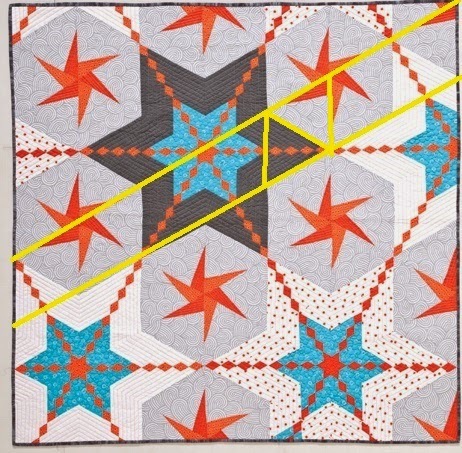 9 magazine is Debbie and the winner of my book Diamond Chain Quilts is also Debbie. Thank you for posting the triangles!! Congratulations to lucky Debbie!!! 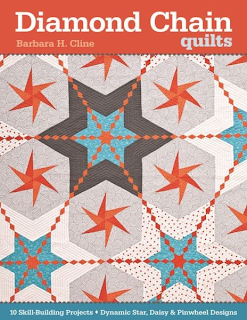 Until I saw "Simply Triangles" on the side of the post, I didn't realize you were the author of one of my favorite books in my quilting library!!! Totally cool!!! I just love the stars that your students created. All of them are quite striking in the colors that they choose. Thank you for sharing and showing us where the triangles were. Thank you for participating in the hop and for the wonderful Prize. I look forward to receiving my book and making a new piece for my house. That is such a cool way of constructing that quilt up top. I love looking through your work, you have a new follower. Thanks for linking up while I hosted Anything Goes Mondays!